So I am a big proponent of positive reinforcement when it comes to teaching my children. Steve calls it bribery. I call it rewarding the good. So especially during the summer when the preschool daycare has turned more into summer camp with less learning, I have been trying to reward the want to learn. We have been trying to teach the Jude and Joel their phone number. Put it to a little song and everything. We were still struggling a little until we brought out the positive reinforcement technique. They saw the new Kohl's Cares stuffed animal promotion and that's all it took! For those of you that are unfamiliar with the Kohl's Cares program, it is a effort by Kohl's to support kid's health and education as well as women's health. Kohl's Cares usually focuses on a book series. Kohl's Cares donates 100% of the net profits of the Kohl's Cares items in the book series they are featuring to kids health and education. Since 2000 more than $208 million has been raised. This time it is the classic Curious George. The stuff is so cute. They are selling 5 different books and five different stuffed animals along with a very cute backpack. Everything is $5 a piece so it is quite reasonable. 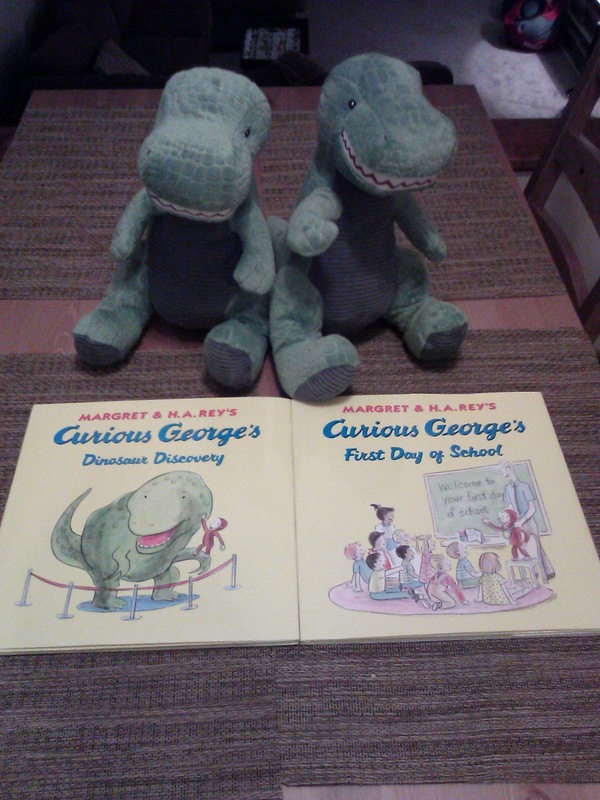 So my kids being just a little different of course didn't actually want Curious George himself, but rather they wanted the dinosaur. That was fine by me. What ever it takes to motivate! It took about 2 days. Both Jude and Joel practiced and practiced until finally they remembered on command. 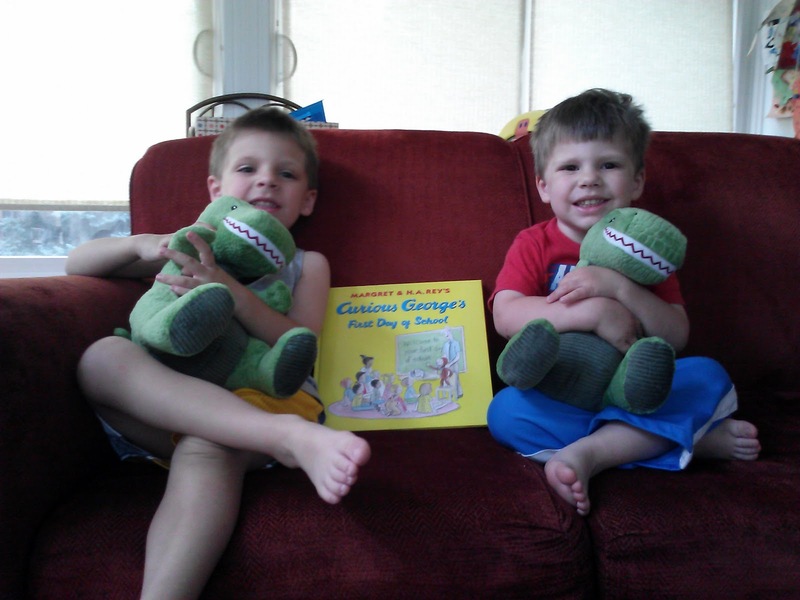 We then waited just one more day to make sure they had retention and by golly they did. So mom and the boys were off to Kohl's. 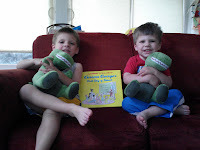 I came back with two very happy boys accompanied by to wildly cute stuffed dinosaurs. 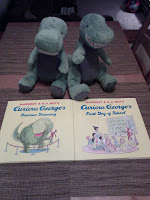 Of course we wanted a little more education out of the deal so we also picked up copies of "Curious George's First Day of School" and "Curious George's Dinosaur Discovery". Well mom's happy, the boys are happy, we helped out a little and learned a lot along the way. Some of the smallest things in life can have pretty big rewards!